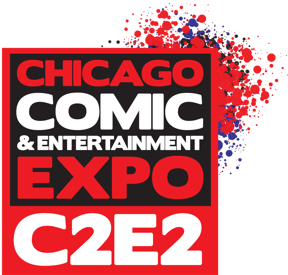 Let's talk about C2E2, the Chicago Comic and Entertainment Expo, April 13-15. As you might infer from the name, it's a convention devoted to the nerdy arts, put on by ReedPop, the fun folks who bring you PAX, NYCC, and Celebration. This will be its third year, as well as its biggest and (one hopes) best. Comic conventions are a great opportunity to meet the publishers and creators of comics and graphic novels, and discover real gems before anyone else. 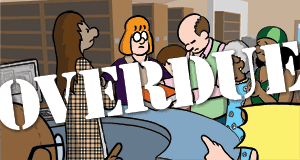 The first half of Friday is reserved for professionals, who get discounted admission (between $0 and $10 if you register now) and access to great programming, including Gene and myself performing our talk A Funny Thing Happened on the Way to the Library at 10:30. Librarians count as professionals. Register here. Not a professional? Sorry you can't see our talk, but we still hope to see you during the main show, where we'll have a table and a small supply of books and merchandise. Register here.